To the faithful brethren in Christ, Grace to you and peace from God our Father. We are thankful for your prayers, love, support and presence in our mission to serve the Pakistani nations and especially for our children. We are thankful to your great presence by your prayers and love support. It is our pleasure to communicate with you my brethren by this update of July 2016. We are thankful for Messiah Missions platform to communicate with the world and keep in touch with our brethren who support us and stand for us. We are thankful to the regular donors and prayers partners who remember us in their prayers and thoughts. May our Lord Jesus Christ move many other labourers too and they join us. This will happen by our Faith and prayers. When we ask to God then He provide us. He is our Lord and He is Alpha and Omega. So with your prayers and love, we have great comfort in our heart and more energy to walk with Lord Jesus Christ by Faith. We are thankful to our God that God has blessed us with this desire to spread the Good news in Pakistan. 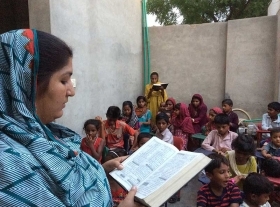 We share the Word of God and provide the Biblical and formal education to our Pakistani adult and children. With the support of Messiah Missions, we reach the un-reached villages and towns and share the light of Hope with our brethren. We thankful to our Brother Steven Ray that He always encourage us and support us to reach the un reach with the light of hope for lost soul. During the month of July 2016, we shared the Word of God with adult and children in our two remote areas named Masitian 375/GB and Gagulmal 159/GB. 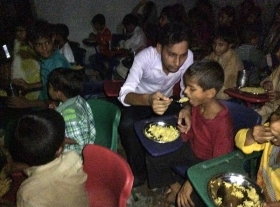 Evangelist Asim Saddique along with his five team members named Sundas, Nabila, Mohsan, Waseem, Qaiser went to village Masitian 375/GB in each Friday, Saturday and Sunday. The village Masitian 375/GB, is 21 kilometer away from the city of Toba Tek Singh and it needs to 6 liters petrol for round trip. We have work on Church Service, Sunday School service, Children Bible class, Children Bible, School Supplies, Food. By the Grace of God we have served the 45 adult in Church service. We share the Love of Christ with them. In Sunday school service, We share the Biblical verses with our 130 children and they attend us in three day of week. 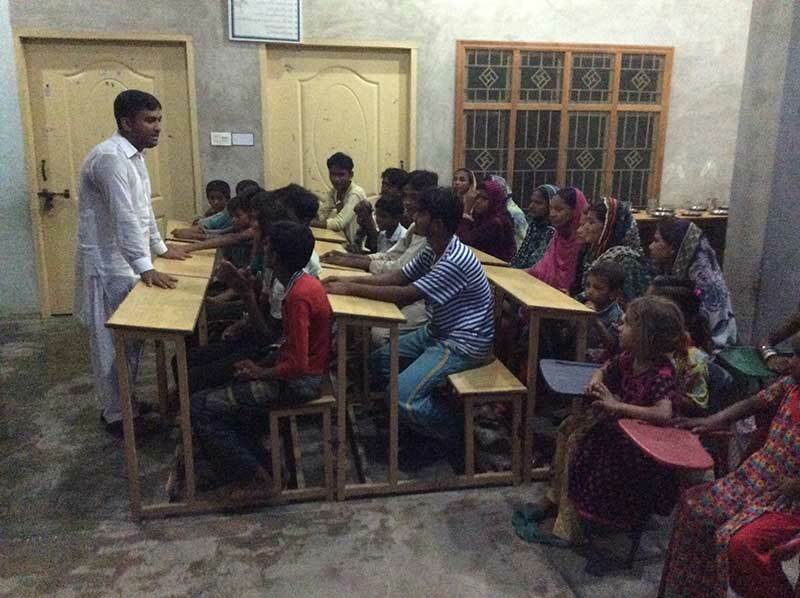 We teach them the Word of God and teach them how to follow Lord Jesus Christ. 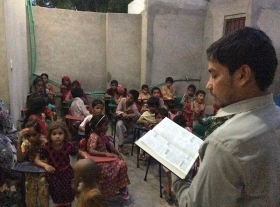 God has provide us with 45 children Urdu language Bible. Children are very excited to receive the Urdu language Bible that is our native language. They thankful to Lord Jesus Christ that Our God has provide us with this gift. 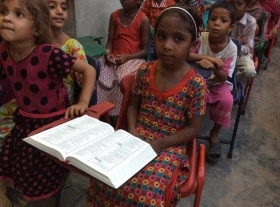 Almost 130 children are attend the Children Bible class. We study the Bible by Genesis and share the Word of God with our children. 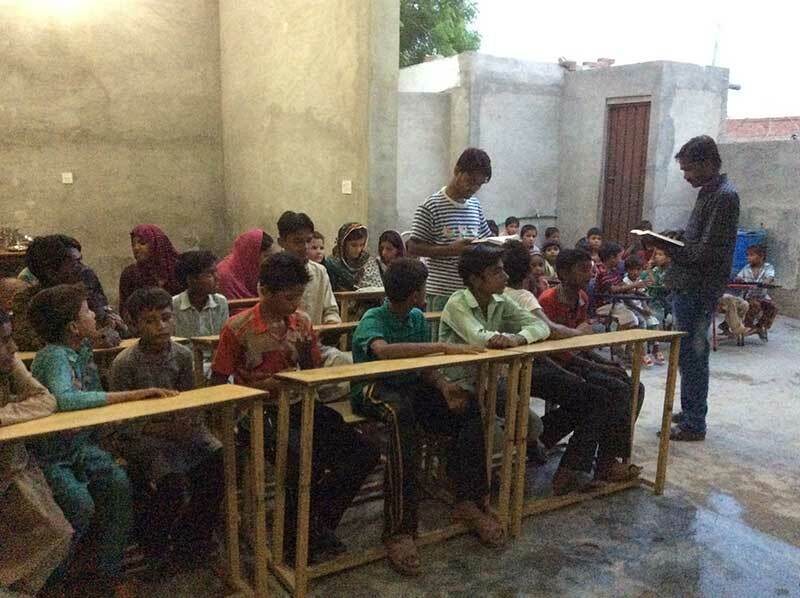 God has blessed us with school supplies for our 75 children. We provide the foods to our 75 children. Evangelist Sundas and Nabila teach the children and adult about Christian poems and teach them how God has made the World by Art. Evangelist Asim share the Word of God with our adult and children. Children and adult are warmly welcome us in their town. We serve the Christians in this town since 2007. We provide Biblical and formal education to the adult and children. 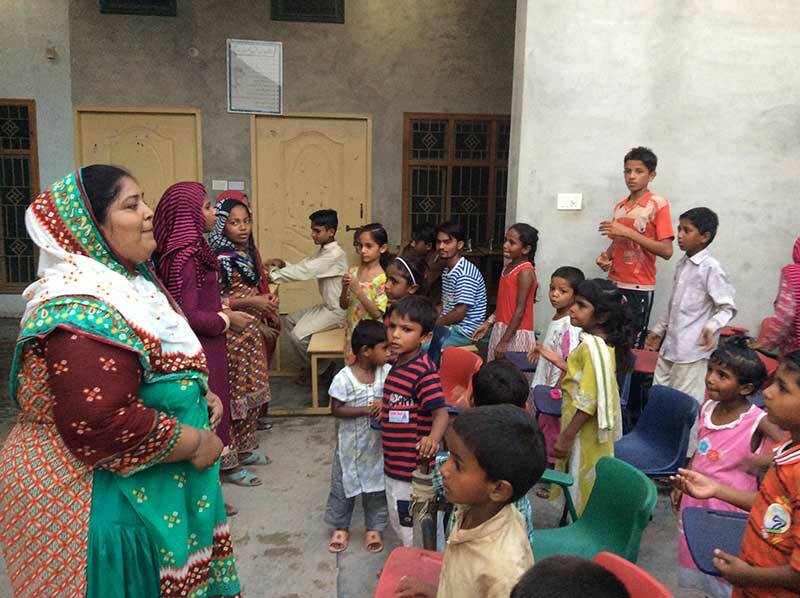 We mostly reach 30 Christian families and 75 children in this town. 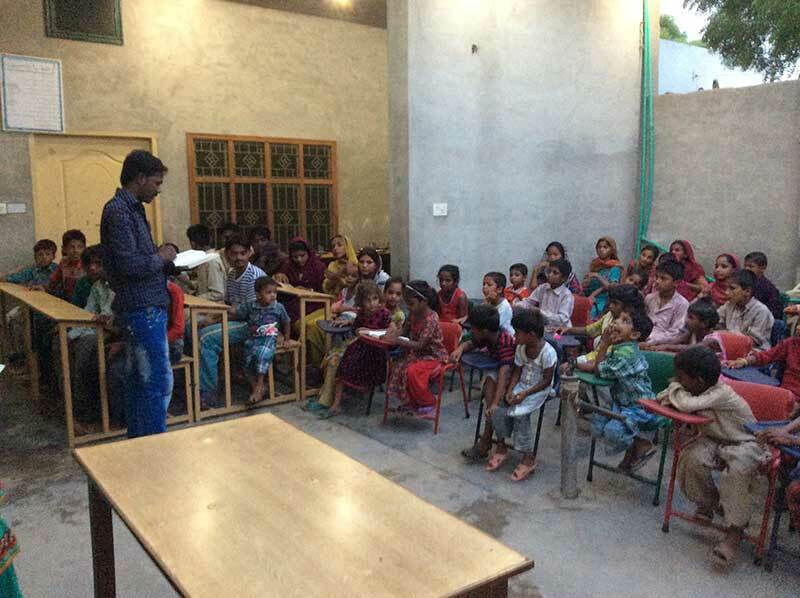 We are thankful to God that God has open the door of blessings for us that we stand with our village area Christians. 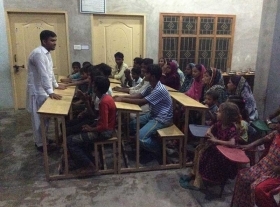 Evangelist Asim Saddique along with his five team members named Sundas, Nabila, Mohsan, Waseem, Qaiser went to village Gagulmal 159/GB in each Monday, Tuesday and Wednesday. The village Gagulmal 375/GB, It is 36 Kilo Meter away from the city of Toba Tek Singh and it needs to 8 liters petrol for round trip. We have work on Church Service, Sunday School service, Children Bible class, School Supplies, Food. 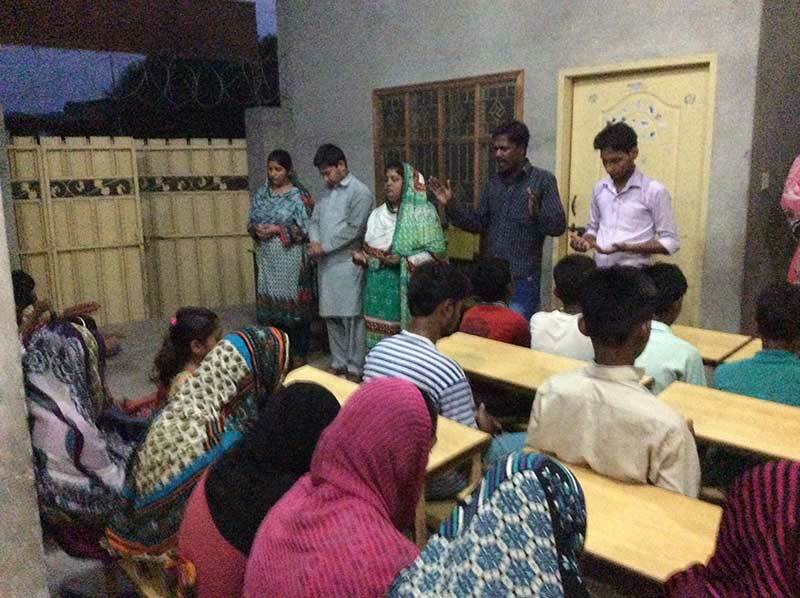 We organised prayer meetings for adult and during this month, 60 adult visit us and we share the Good news with them. We share the School supplies and foods with our 90 children during this month. 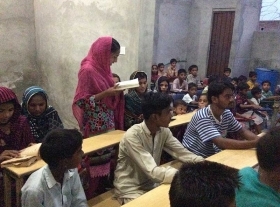 We organised the sunday school service and children bibles too. 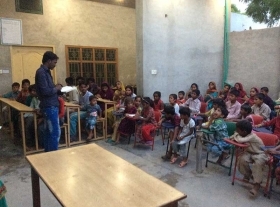 We mostly reach 40 christian families and 90 children in this town. 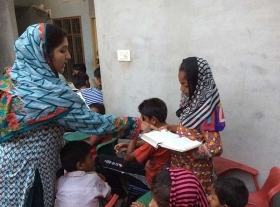 We thankful to Messiah Missions for their support to our ongoing charitable programs. 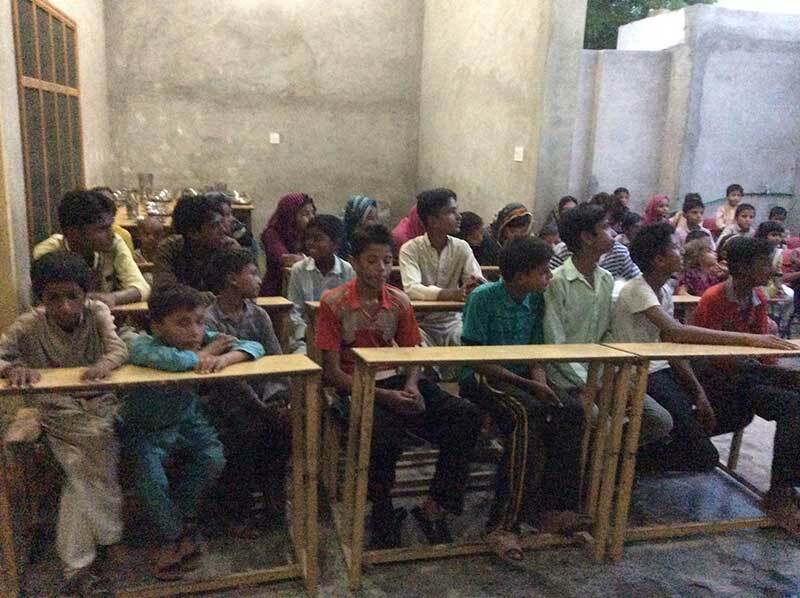 We focus on Children Education because when they educate then we can remove the poverty. 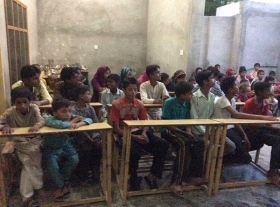 Pray for our Biblical and Formal Education program. One Teacher, One Book and One Note Book can change their future. Join us with your prayers and love support. We Pakistani Team are always presence for new victory in Jesus Christ name Amen. We need 10 bibles for Brick Kilen families and School supplies for 75 children that will cost us some $750.